As the businesses move their workloads over the cloud for strategic deployments, the competition among the cloud vendors to remain at the top has increased rapidly. A vast majority of customers have grabbed the attention of top cloud service providers that offer advanced-level services and utmost security to support their infrastructure. Top cloud providers such as Microsoft Azure, Amazon Web Services (AWS), Google Cloud Platform, Alibaba Clouds and IBM Cloud have explored capabilities of AI, Machine Learning and Blockchain to become the most-influential cloud computing vendors. Infrastructure-as-a-Service (IaaS): This platform offers infrastructure services like servers, operating systems, virtual machines, networks and storage on a pay-per-use basis. Platform-as-a-Service (PaaS): This computing model offers services used for developing, testing, and maintaining the software of infrastructure along with database management and business intelligence tools. Software-as-a-Service (SaaS): This service connects users to the applications through the Internet on a subscription basis. Let us review the top 5 cloud vendors of 2019 on the basis of their offerings. 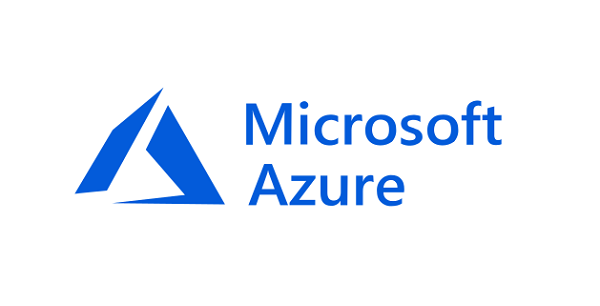 Microsoft Azure Cloud is a set of ever-expanding cloud services that help you meet the constantly increasing requirements and business challenges of your organization. It leverages the users with the freedom to build, manage, and deploy applications on a massive global network using the choice of their tools and frameworks. It supports various operating systems, databases, BI tools, and programming languages. What Makes Azure the right choice? Productive:Help users to reduce the marketing cycles by delivering feature-rich solutions faster with more than 100 end-to-end services. Hybrid:Gives the freedom to develop and deploy applications wherever the user wants using its consistent hybrid cloud. Also, users can extend the Azure on-premises using the Azure Stack as and when required. Intelligent: Using the powerful data and artificial intelligence services of Microsoft Azure, intelligent apps can be built seamlessly. Trusted:Microsoft Azure is the most trusted cloud provider of all times. With integrated, highly-secured network it serves around 95% of Fortune 500 businesses along with several startups and government projects including 70+ compliance offerings in 54 global Azure regions. Another cloud biggie in the house, Amazon Web Services (AWS) is no lesser than Microsoft Azure in terms of its cloud services and offerings. Considered as the most robust cloud service platform till date, AWS cloud services offer a wide range of infrastructure services right from compute to storage, to database, developer tools, security & compliance, management & governance, along with feature-rich services such as machine learning, cryptography & PKI, robotics, end user management, analytics, application integration, blockchain, media services, business intelligence, Internet of Things (IoT), media services, customer engagement, and many more. These services help users to explore cloud products and solutions to build sophisticated applications with enhanced flexibility, scalability and reliability to expand and grow. AWS cloud allows customers to pin, power and play applications using an array of deep features such as database engines, server configurations, encryption, and powerful big data tools. With tagline stating “One Cloud, Endless Possibilities” Google Cloud Platform (GCP) has emerged as a powerful cloud solution over the recent years. GCP includes secure, open, intelligent and transformative tools, and G Suite to help users modernize their organizations for today’s digital world. Why Google Cloud Platform (GCP)? Highly-secured cloud platform to help protect the applications built, stored or deployed on its multilayered secure infrastructure. GCP commits complete transparency. Engineer-to-engineer support at every step of cloud journey to help customers decide the required solution, define migration strategy, and connect them with right partners. Multi-cloud, hybrid cloud and on-premises tool support for consistent execution and management. Committed to delivering community-driven, open source technology with flexible pricing and no lock-ins. Uncover more values from your stored data through accessible AI and data analytics tool offering from GCP. Serverless architecture to deliver improved developer productivity and help focus on great applications. IBM Cloud help innovate, migrate and revolutionize the infrastructure of the organization and optimize multi-cloud environments through technically advanced tools and solutions. It supports all the cloud delivery models, IaaS, SaaS, and PaaS and allows users to select and unit the desired tools, data and delivery models for designing and building their next-generation services and applications. Alibaba Cloud Services is a comprehensive suite of global cloud computing services, a business unit of Alibaba Group incorporates the latest cloud technology and security systems to organizations for building, deploying and managing cloud services. This list of the cloud service provider can help customers understand their requirements and choose wisely as per their budget constraints. However, i2k2 Networks, a global cloud service provider help organizations to specify their requirements and choose the services as per their business demands. Being a premier level partner of all these top 5 vendors makes i2k2 the most preferred managed service provider among customers for their hosting needs. Explore the level of services and solutions we offer by giving us a call at +91-120-466-3031 |+91-971-177-4040 or can even drop a mail to sales@i2k2.com.